Do others grow as individuals under your leadership? While benefiting from your compassion, do others become healthier, wiser, freer, more autonomous, and more likely themselves to develop a “you-first” attitude? If you’re unsure, developing a few characteristics may bring about the fruit of you-first leadership on your team. A commitment to growing people is not a temporary fix, a quick solution to a problem, or a short-term shot in the arm that helps them only today. 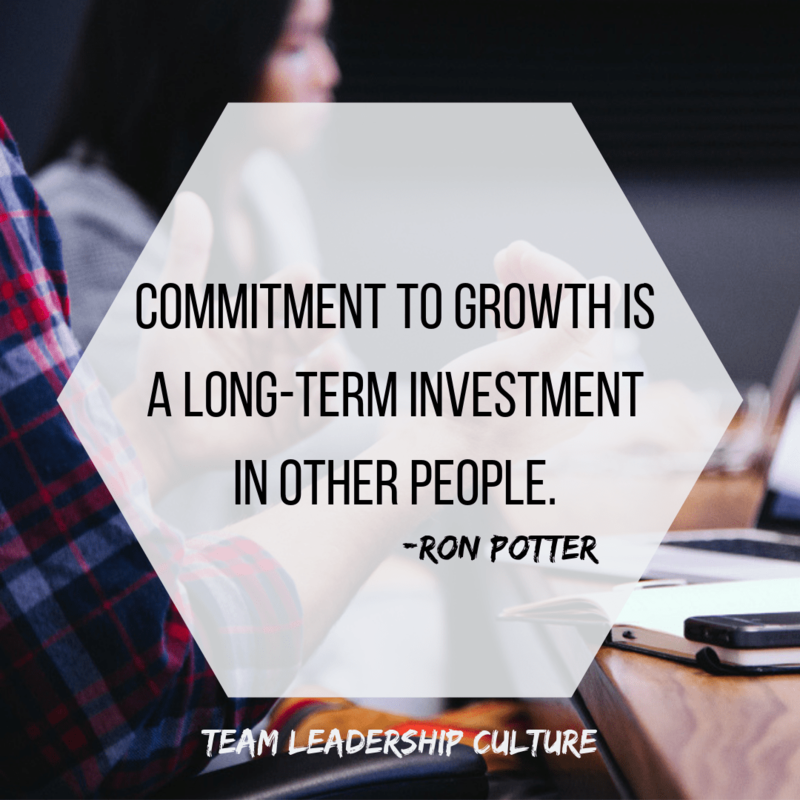 Commitment to growth is a long-term investment in other people. It increases their opportunities to grow, learn, and use what they have learned to its greatest benefit. When their growth multiplies, the organization’s growth and maturity multiplies. What made a difference for me was when I finally grasped the concept of listening with the intent to understand. I had always listened with the intent to respond. The entire time I was listening, my mind was developing responses, recording counterpoints, cataloging quick points that I was sure the other person would find helpful when I responded. 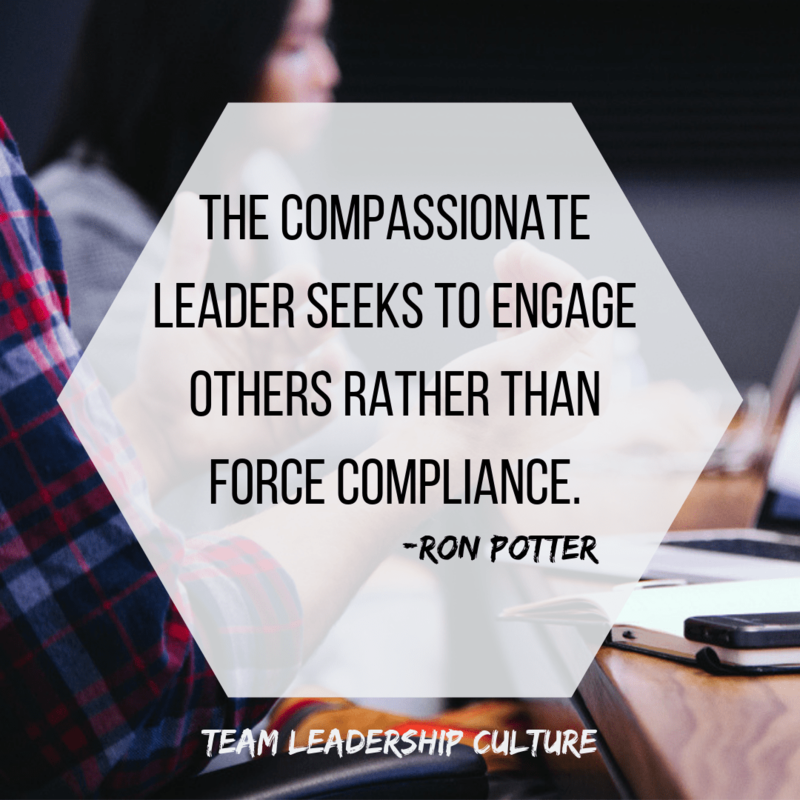 Listening with the intent to respond is not compassionate. It is not humble. It’s self-focused. Listening with the intent to understand is indeed focused on the other person. 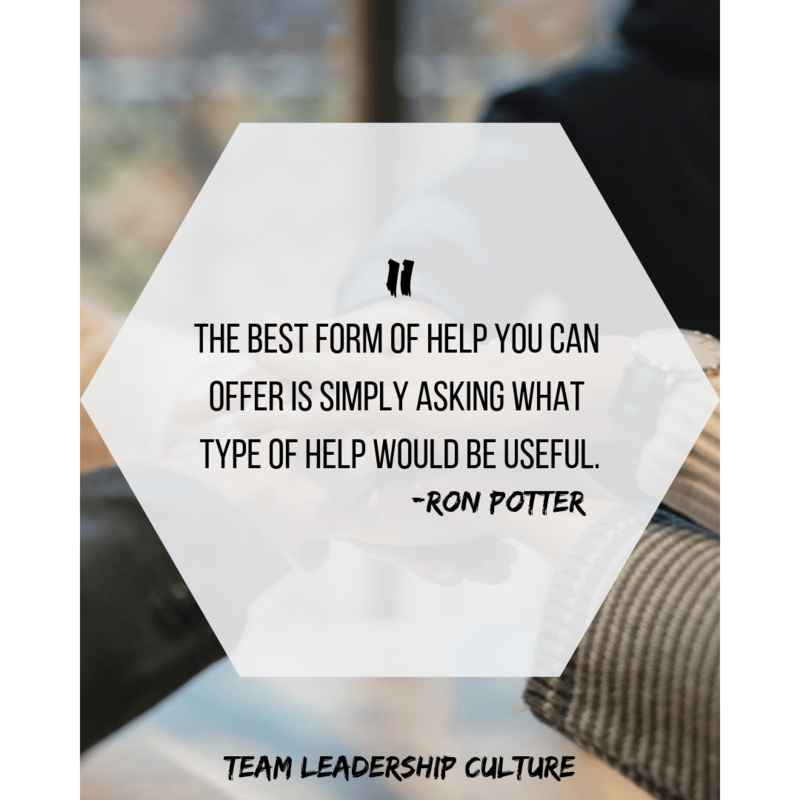 As I work with leaders and spend time listening with the intent to understand, I’m amazed at how much they are willing to share with me when they know I fully intend not to just hear them but also to understand. Awareness is not a giver of solace—it is just the opposite. It is a disturber and an awakener. Able leaders are usually sharply awake and reasonably disturbed. They are not seekers after solace. They have their own inner serenity. 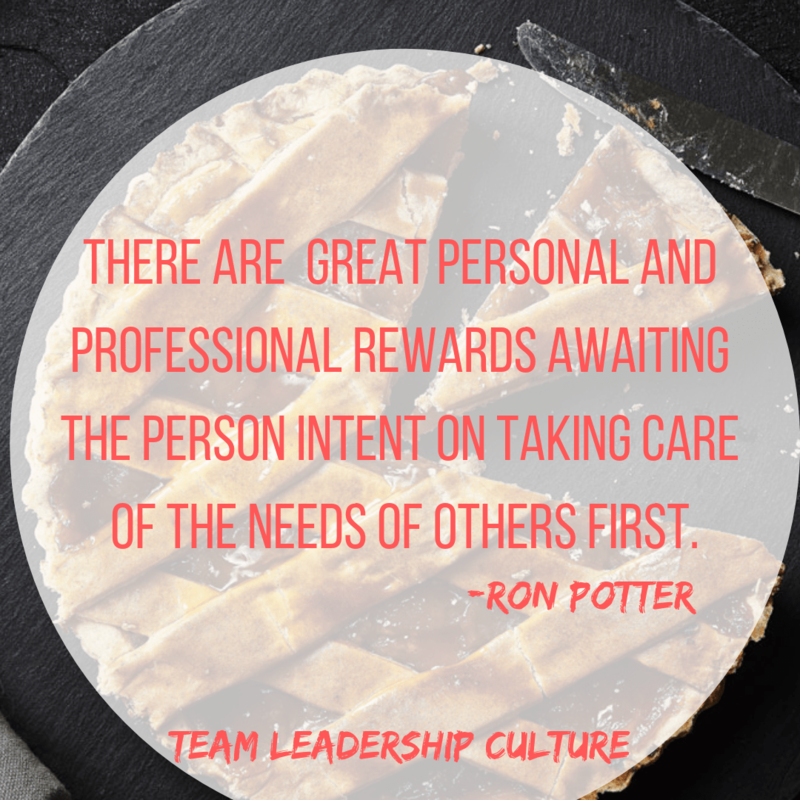 Awareness helps leaders discern how to properly put others first. These first three. qualities of a you-first leader will certainly build up your team and create an others-focused team. Next week, we’ll discuss the next three qualities. We’ve talked about Business Addictions before. In my post “Are you an addict?” from earlier this year, we talked about addiction to accountability, dedication, and productivity. Most of these addictions are “acceptable” in the workplace. People don’t usually call you out for being too dedicated or productive. But they may be aware (and even annoyed) that you can’t get through a meeting without checking your phone. Or you may be falling short of expectations on projects because you made commitments to too many projects. But there is another business addiction I observe that immediately turns negative and is obvious in its disruption of productivity and a committed path forward. The addiction to being right! The problem? It sends the signal that all others are wrong. “I’m right, you’re wrong.” “My perception is correct, yours is not.” Once you turn decisions into right vs wrong choices, there will never be a committed team effort to accomplish the goal. Right vs Wrong creates winners and losers. If I’m on the losing side of that equation, I may comply, but I will never commit. If the decision is a Right vs Wrong decision than you’re going to expect me to commit to a direction that I believe is wrong. Human nature keeps that from happening. It’s not realistic. I’m not saying we shouldn’t have strong ideas and points of view. 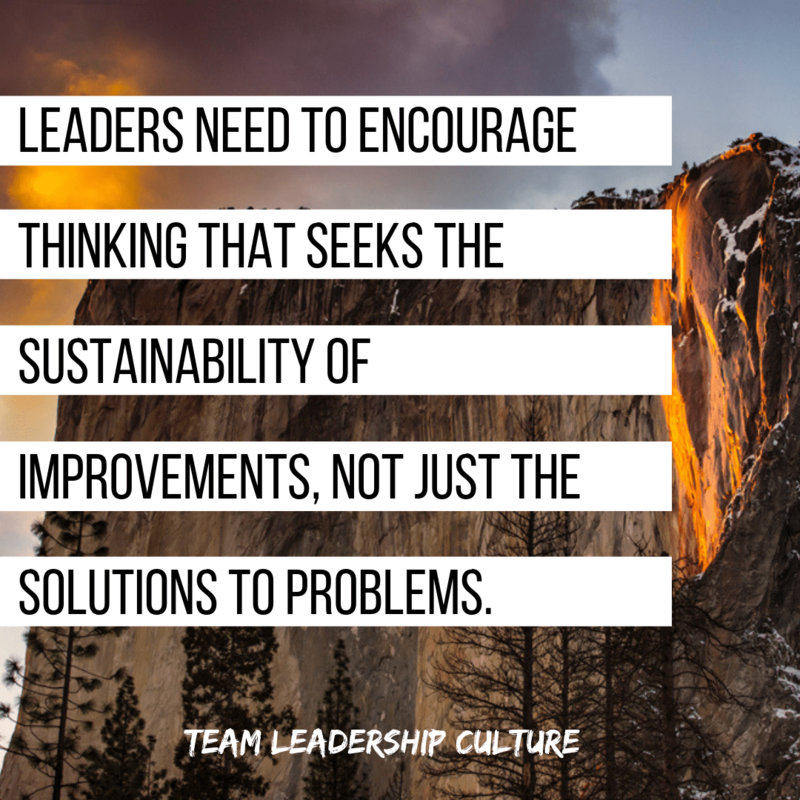 We don’t’ bring much value to the team if we simply present a cookie-cutter response to the situation. However, we must also realize that others have equally strong and “right” views. We must be dedicated to finding a joint path, shared stories, new movies. Not just proving that we’re right. If we can frame the decisions that we face in a Right vs Right fashion, we have a better chance of moving forward as a team. Right vs Right turns our decision making away from winning and losing and toward a dilemma. When we face a dilemma, we’re saying there are two equally right answers, we just can’t do both. 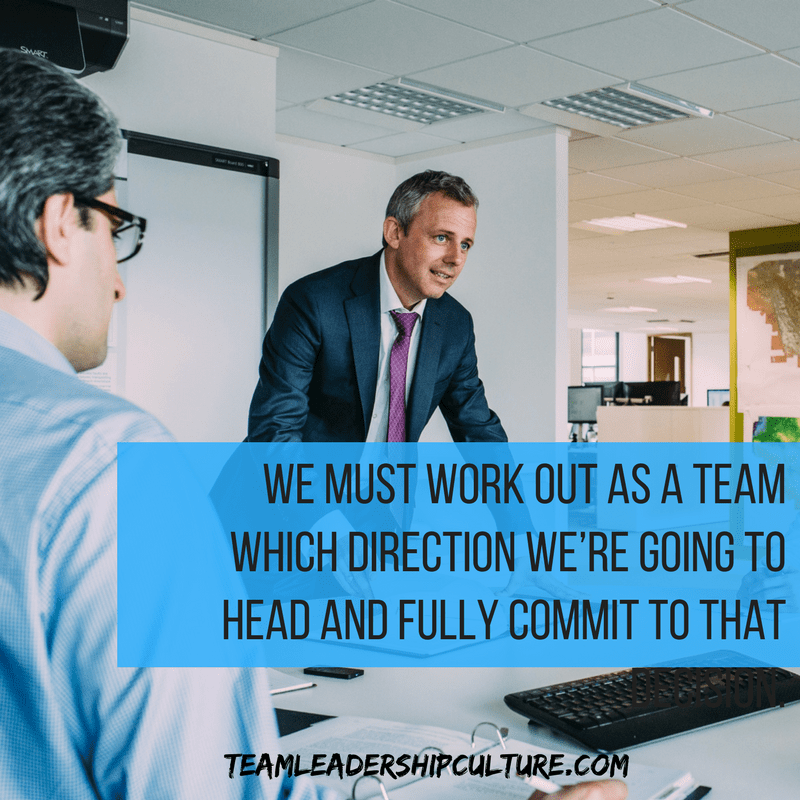 We must work out as a team which direction we’re going to head and fully commit to that decision. Dilemmas are difficult. The concept of being on the “horns of a dilemma” means that you’re going to get gored either way. You’re just choosing which horn will gore you. Dilemmas are difficult. But, facing our decisions as dilemmas between two or more “right” answers, gives us the chance to come together as a team and accomplish a goal together. Addiction to being right prevents us from doing things together. It only creates winners and losers. Is there a surefire, can’t-fail approach to mentoring effectively in an organizational setting? Probably not. But that should not come as a surprise because, after all, we are talking about relationships between people. But there are some simple ideas that will help illumine your path to a satisfying and successful mentoring experience. A good mentor is always searching for mentoring opportunities. 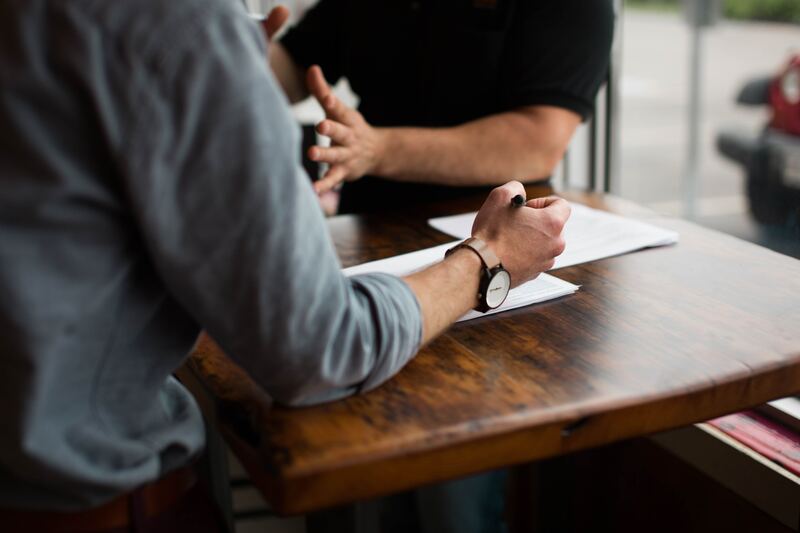 The best mentoring happens in “teachable moments.” These impromptu opportunities to share insights and experiences require no formal agenda or time schedule, just a willingness on the leader’s part to be available and recognize moments when the other person needs help. This should flow naturally and not be contrived or forced. 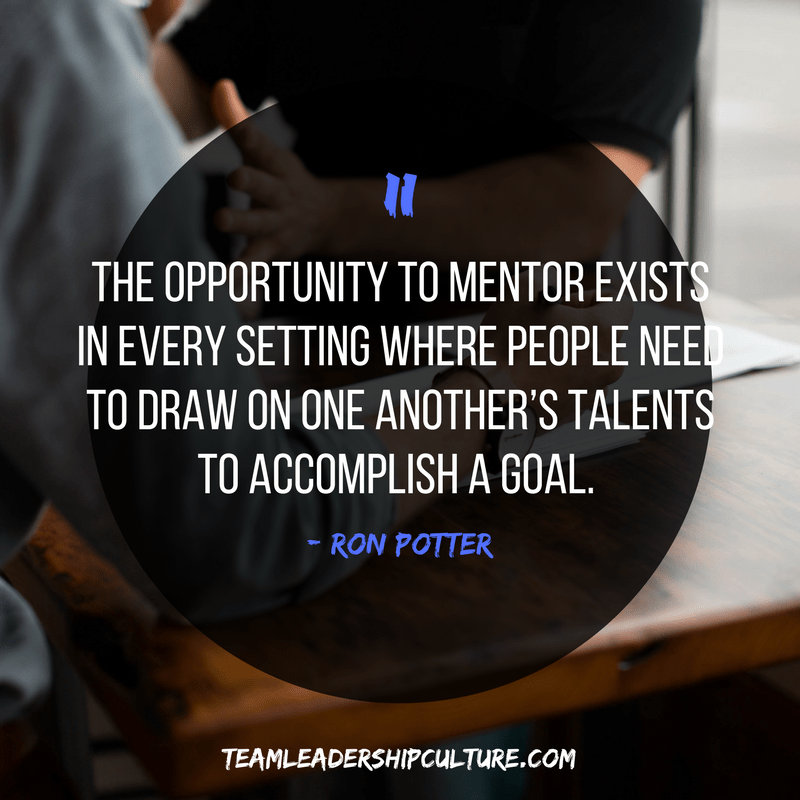 The protégé may not even realize that a “mentoring moment” has occurred. I like Pharrell Williams. His music is great to my ear and while I couldn’t pull off any of his fashion statements, somehow it looks really good and natural on him. Jacob Gallagher interviewed Pharrell for The Wall Street Journal. It was titled “20 Odd Questions”. Some of them may have been odd but I found most of them interesting. Pharrell may be one of the most recognizable people on the planet today. Fame. Fortune. Wealth. All the things that much of the world seems to be clamoring for. So, what was his answer? Humble leaders shine. They light the way. People know who they are and what they stand for. They just don’t burn out everything (and everyone) in the room. Others shine brighter in their presence. Are people basking in your light or putting on dark sunglasses to keep from burning out their eyes? 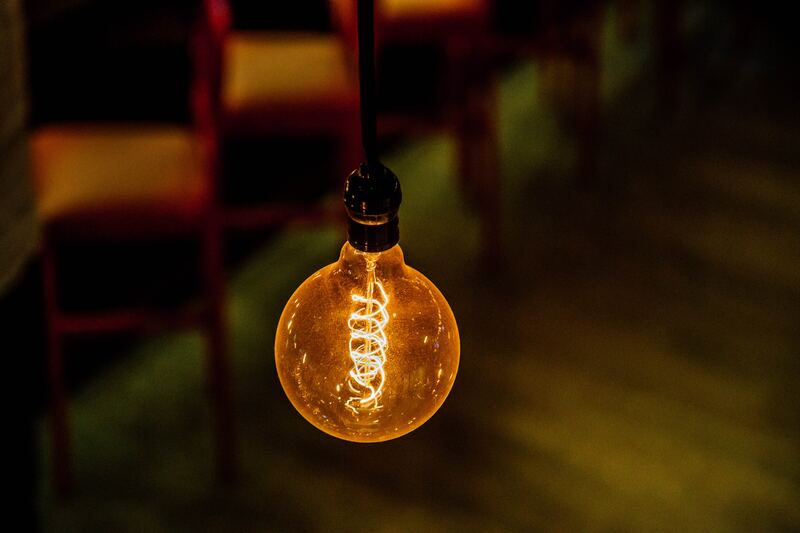 Be a light. 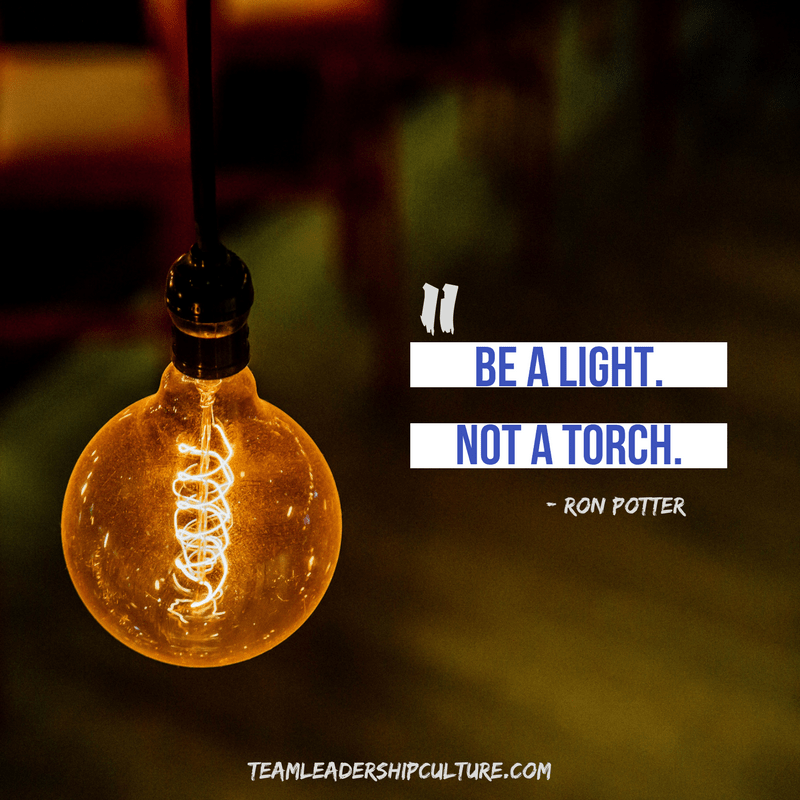 Don’t be a torch.